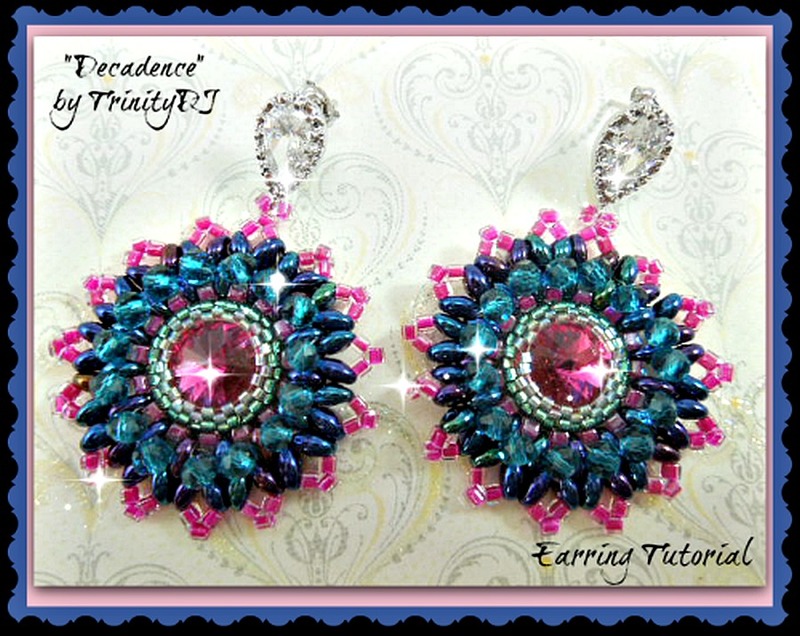 This is circular peyote stitch earrings tutorial. 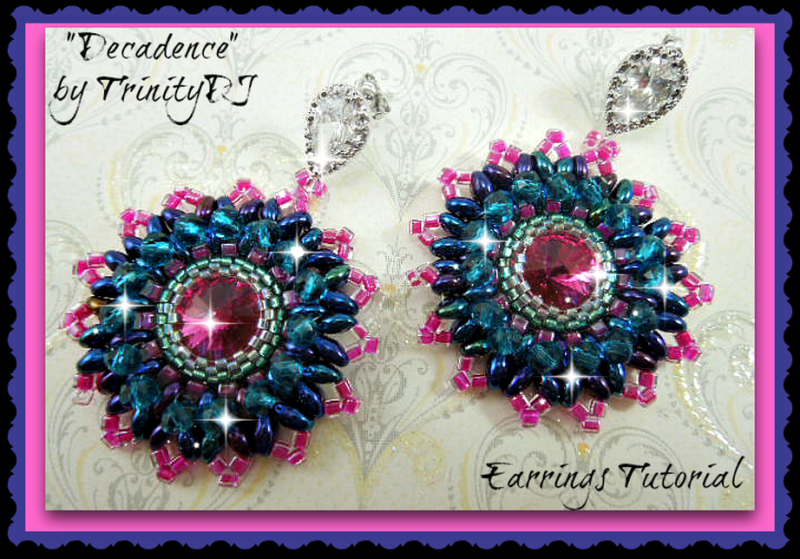 This pattern is designed for the use of Delica #11 & #15 beads, 3x4mm Rondelle crystals,14mm Rivoli crystal, twin & cube beads and 5lb nylon thread with #10 or #12 beading needle. It is truly a fun project and stitch up in a jiffy.